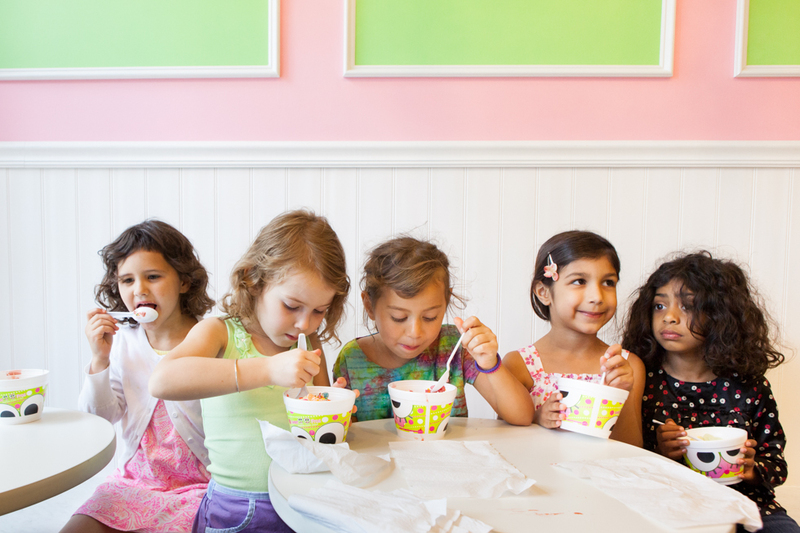 Four primary program classes from the Montessori School of Greater Hartford had a special end-of-year treat with their teachers at Sweet Frog in West Hartford. Jessica Gorski, the teacher of the students pictured, said the occasion was “bittersweet” because of the amount of time the teachers and students had spent together in the three year cycle of their school’s primary program. “It’s sad that they’re moving on but it’s also exciting because I’ve seen how much they’ve grown,” Gorski said. Some of the students attending will “move on” to the Montessori School of Greater Hartford’s elementary program, while others will begin elementary programs at other schools.